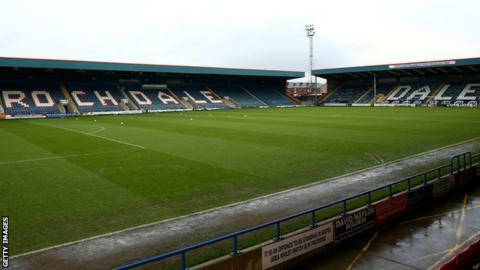 Saturday's League One game between Rochdale and Leyton Orient has been postponed because of a frozen pitch. An early inspection was carried out at Spotland at 11:00 GMT on Friday to avoid any Orient fans making a needless four-hour trip north. Rochdale are currently seventh in League One, with Orient 23rd after losing three of their last four games. A new date for the fixture has yet to be confirmed.